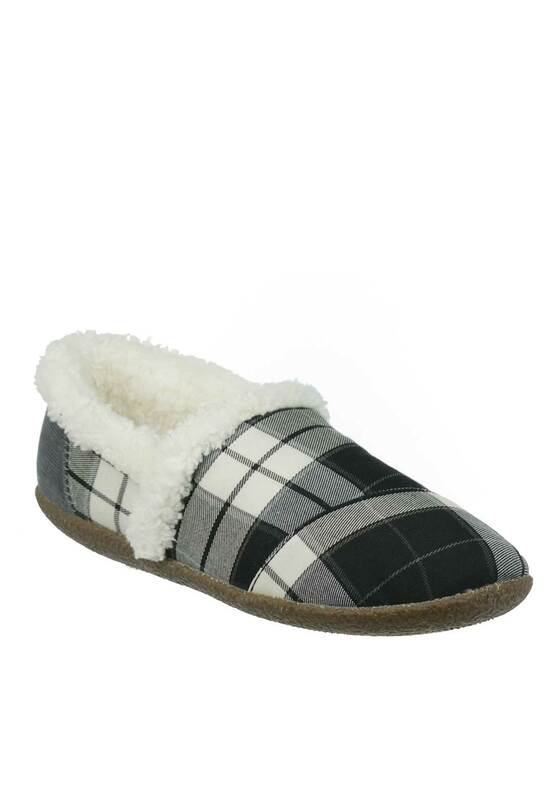 Lounge in comfort and style with TOMS black and white plaid print house slippers. This gorgeous pair have a luxurious white fluffy lining that is sure to keep your feet toasty and have a thick durable non-slip rubber sole. A fab pair for winding down this autumn winter that come in a stylish carry gift box that is easily wrapped for someone special.